Anything-But-Basic Gymnastics Package ($245***): One hour of gymnastics, trampoline, rock wall, soft cube pit, and inflatable fun and games, followed by 30 minutes of refreshments. Free GU shirt for the birthday child! Ninja Zone Package ($260***): Throw your son or daughter the ultimate birthday! Ninjas will run through obstacles on our trampoline, foam pit, rock wall, and more, followed by 30 minutes of refreshments. The birthday child leaves with their own Ninja Zone shirt! Want to book a Scout event? Go here. *Green blocks are open dates. If you see no green blocks, all time slots are booked or unavailable. 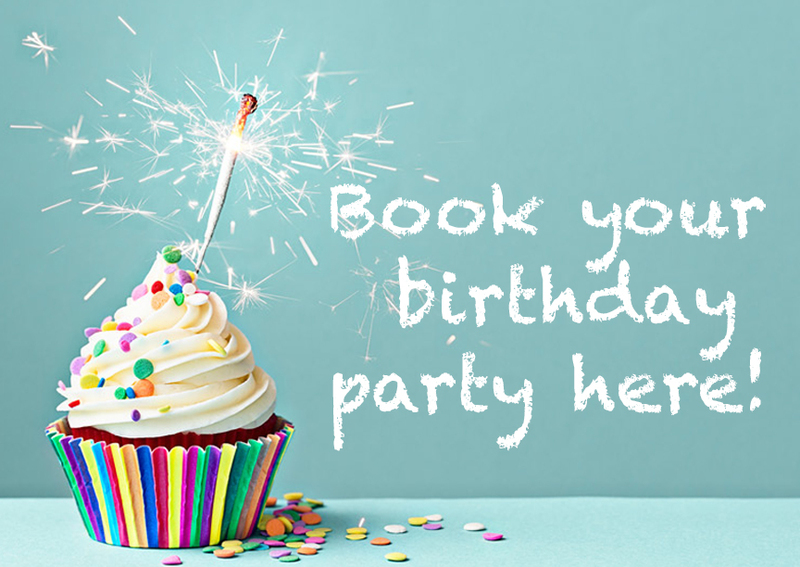 PLEASE NOTE: Parties are geared toward children ages 4-10 years, and both birthday child and guests must be at least 4 years old. Children under 4 WILL NOT BE PERMITTED in the gym area for their own safety. It is highly recommended children under 4 do not accompany, as they will have to wait in the party area with their parents for the entire party, NO EXCEPTIONS. Parents and non-guest siblings are not permitted in the gym area or on equipment either. Birthday Parties are typically held on Saturdays. Look for open, green time slots on the calendar. Our safety-certified instructors keep your party safe and fun. Parties are an hour of structured gym fun followed by a half hour of refreshments. Children will not be permitted to return to the gym area after refreshments. Parents provide any food, refreshments, cake, paper products, or napkins needed. Feel free to bring decorations or goody bags if you want them. Our staff will take care of the clean up. We provide a free t-shirt for the birthday child at the end of the party. You should download these *Event Waiver Forms (required for non-member attendees) and send them to your intended guests. Non-member guests cannot go into the gym area without a parent or guardian signing the form first. Birthday children and their guests must be at least 4 years old. Children under 4 will have to wait in the party area with parents and non-guest siblings for the entire party, no exceptions. Participating children should wear comfortable clothing and bare feet (no tights or loose clothing please). Parents and adults are not permitted on the gym floor or equipment, and must stay in the party area or lobby. Parents are welcome to take photos and videos from the party area. A non-refundable deposit of $40.00 is charged when you book a party. The ***party price*** reflects up to 10 guests (including the birthday child). $10.00 charge for each guest above 10 and $50.00 for each guest above 20. Guest numbers are required a week before the party so we may staff appropriately. There is a $10.00 discount for currently registered students of our classes. There is a charge of $20.00 if the party runs up to 10 minutes over time. Additional $20.00 charge for every 5 minutes thereafter. Tips are not included in the cost of your party, but are greatly appreciated by your party hostess. If you choose to tip, please do so in cash as we cannot apply tips to credit cards. Online invitations are available through Evite, just click the logo below. 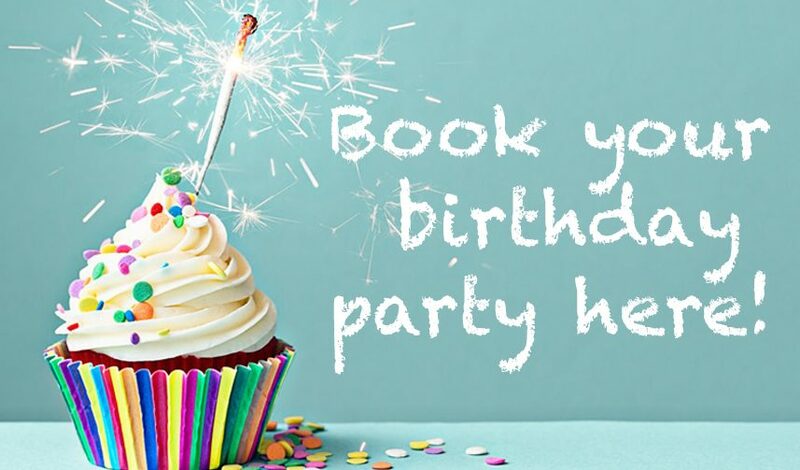 *Event Waiver Form – Every child who attends a Gymnastics Unlimited Birthday Party must have a completed and signed party waiver on file with our office.